Life can be weirder than the movies. So many strange things can happen to people, often unexplained and just plain weird experiences. In fact, strange things happen to animals too. These unexplained occurrences and incidents make you think ‘WTF just happened here?’ From a cat stuck in a container van for a month to a dolphin committing suicide, we sometimes wonder ‘these things aren’t supposed to happen!’ Here are just 10 of the oddest animal incidents that made it to headline news. A sparrow who loves cigarettes is completely unheard of — but a sparrow is blamed for starting a fire causing £250,000 amount of damages to a shop in Lincolnshire. 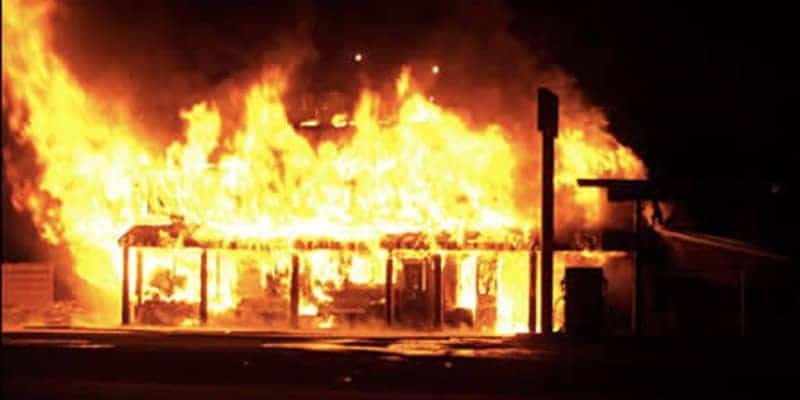 No one knew the true cause of the fire, until insurance investigators confirmed that they had found 35 cigarette ends in the roof. The shop owner was a non-smoker. A sparrow was believed to picked up the cigar butts to use it for her nest in the eaves, causing the blaze. 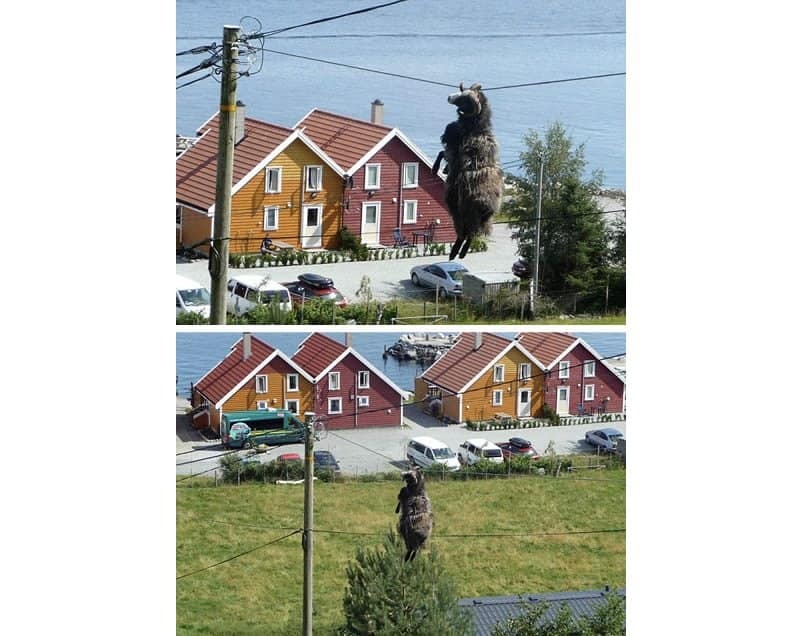 A somewhat careless sheep became a real-life ‘Rambo’ after being stuck in an electricity wire with its horns. He was bleating for help more than 15 feet above ground. No one knew how the sheep got there, but tourists had tried to mount a rescue attempt. With some ingenious rope work, German tourists managed to help the sheep back to the ground. A black cat named Socks was trapped for more than a month in a 20-ft. storage container. Without food or water, he managed to survive after licking condensation on the walls. 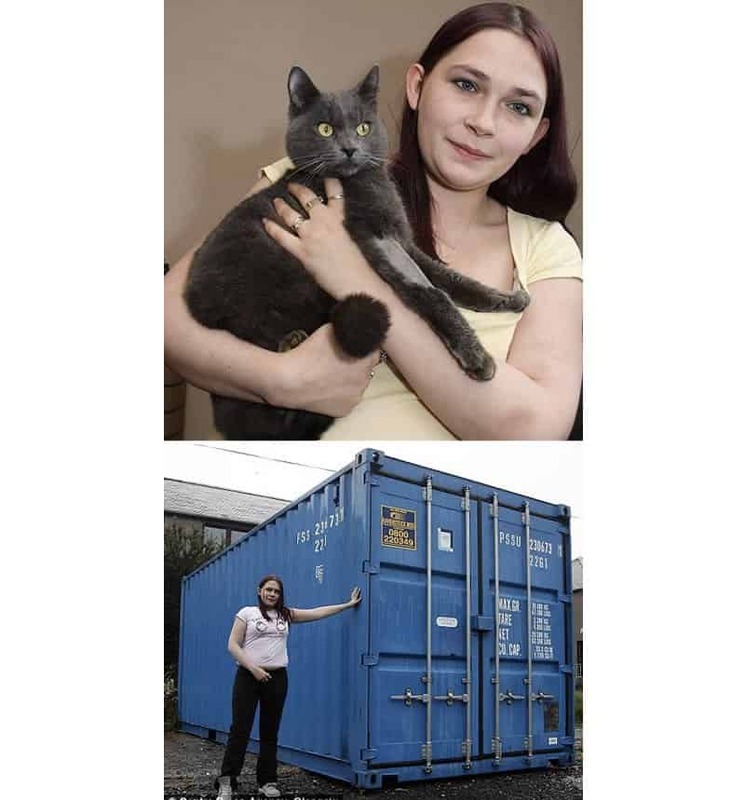 The cat was finally reunited with its owners after an electrician found the poor thing inside the container. Although malnourished and desperately dehydrated, he is otherwise making a good recover from his amazing ordeal. 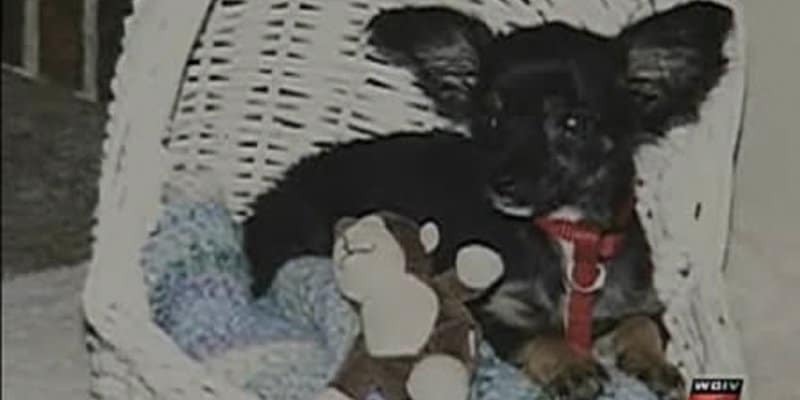 Poor dog — in Waterford Towship, Michigan, a chihuahua named Tinkerbell was standing on a booth at a flea market when she flew away like a piece of paper after being dragged by 70mph strong winds. In an interesting course of events, the owners consulted a pet psychic and they found their dirty and hungry dog alive, in a wooded area miles away. 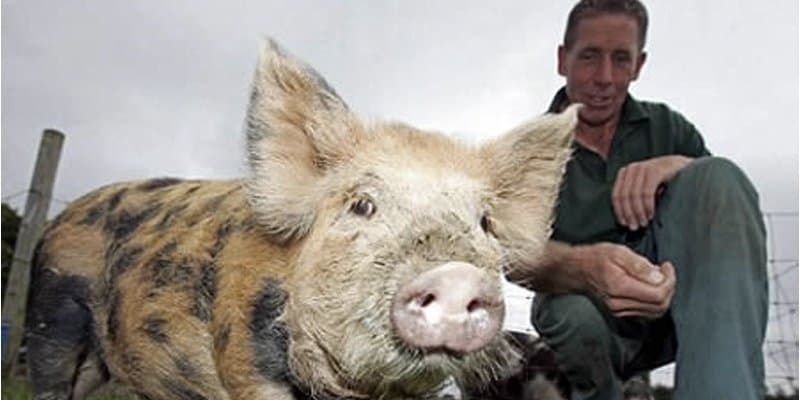 A pig swallowed a woman’s £1,500 diamond ring. Anne Moon put her hand into the pig pen during the Maize Maze in North Yorkshire. When she pulled her hand away, the diamond was gone. As of writing, they still haven’t recovered the diamond. Dogs like to chew on anything. 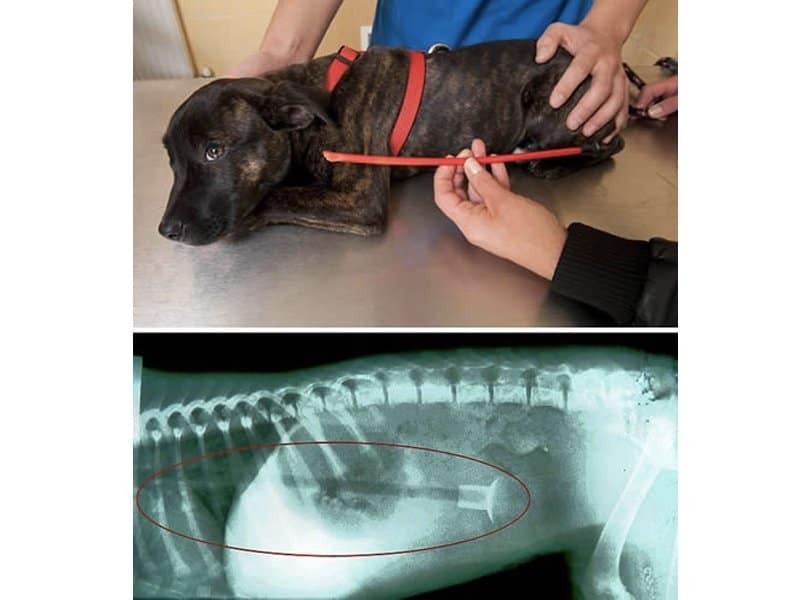 Unfortunately for Betty the bull-terrier, she swallowed a 10-inch toy arrow for curiosity, and ended up suffering so much. Miraculously, she survived after undergoing emergency surgery that removal the arrow that was lodged through her body, from her esophagus to her intestine. The dog is now recovering safely at home. A cat that disappeared from her home in Cornwall was discovered to be safe and well on a TV show in Question Time! Tango arrived in Newquay where BBC1 program was being filmed about political discussions with a panel of guests. 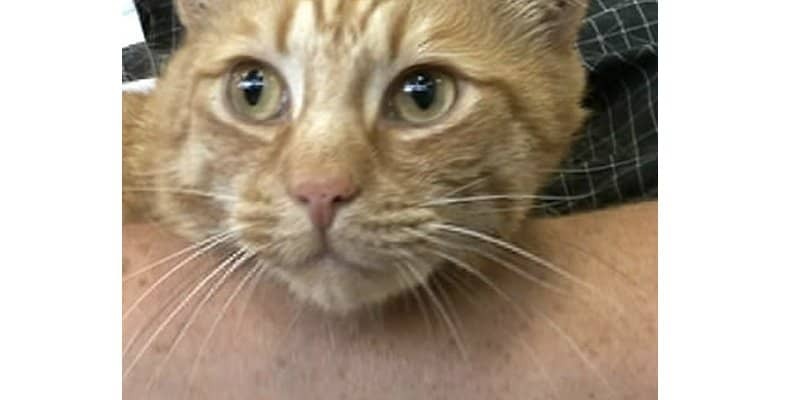 Tango was immediately recognized by her owner. The cat’s TV debut was definitely one of the most memorable events that happened in the show. 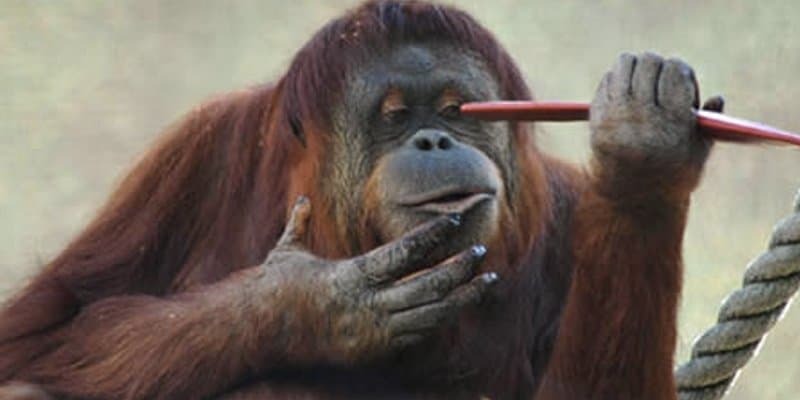 A zoo in Australia was temporarily evacuated after an orangutan escaped from her cell via short-circuiting the electric fence with a stick and then piling up more sticks to help her climb out of the enclosure. After 30 minutes, she was spotted by a visitor. She was immediately returned to her enclosure, but the zoo reminded the public that she was not aggressive. The zookeepers believe the 62-kg orangutan Karta was driven to escape due to grief after the death of her long-time mate. 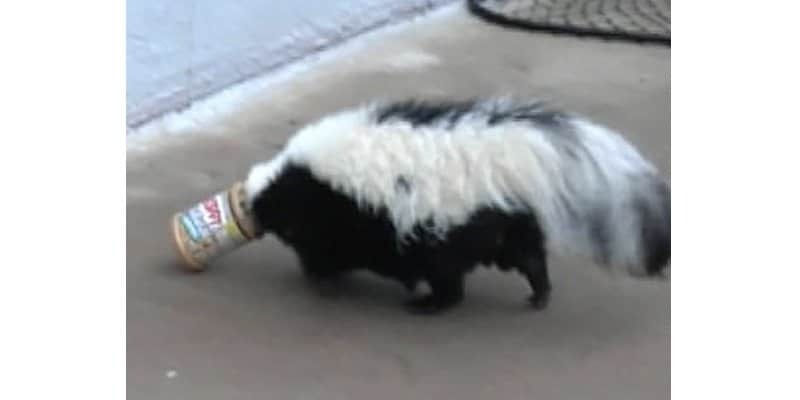 Teresa Vick was in downtown Boxby when she saw a skunk with its head stuck in the peanut butter jar. The animal got hungry and decided to snack on peanut butter when his head got stuck in the jar. She finally found Ned Bruha, who used chloroform to sedate the skunk before pulling the jar off its head. The skunk was very appreciated to be free again, and ran off unharmed. 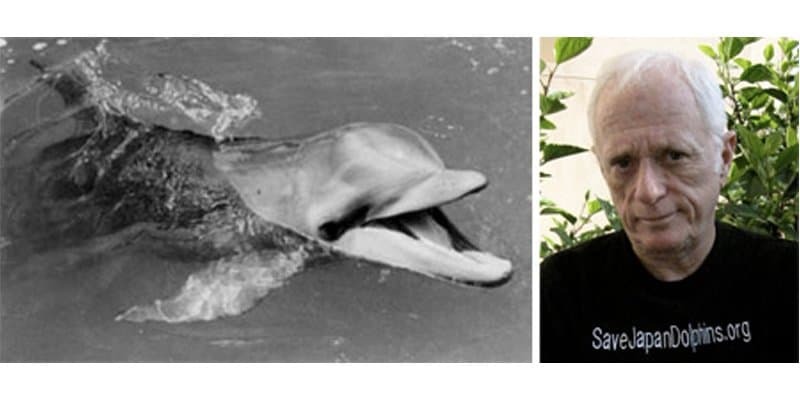 Dolphin O’Barry, a dolphin trainer and best known for his role in Oscar-winning documentary film ‘The Cove’, shares that he witnessed Kathy, a dolphin in the 60s TV show ‘Flipper’, kill herself due to depression, or so he claims. “”She was really depressed… You have to understand dolphins are not (involuntary) air breathers like us.” O’Barry said. “Every breath they take is a conscious effort. She swam into my arms and looked me right in the eye, took a breath and didn’t take another one. I let her go and she sank straight down on her belly to the bottom of the tank,” said O’Barry. The suicide turned him into a solid animal rights activist for life.